Science! It’s one of the best things about being alive, and when the worlds of science and food collide, it means I get use use an exclamation point with complete sincerity. 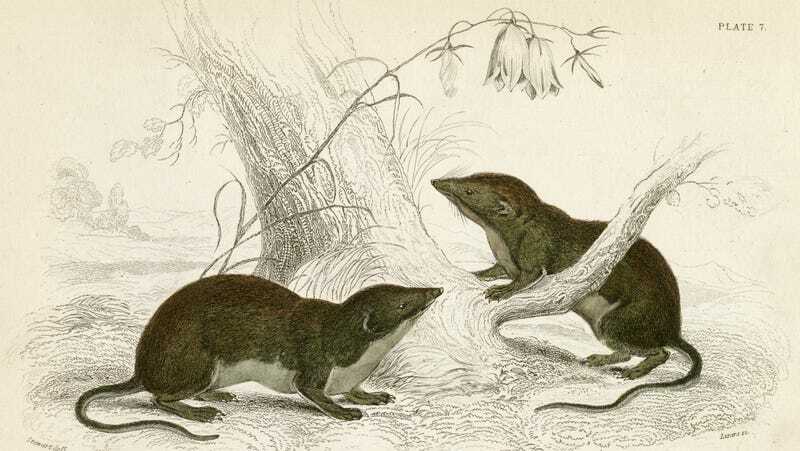 Today’s nugget of emphatic exuberance comes courtesy of Popular Science—more specifically, a piece on the Chinese Northern Tree Shrew and its hot pepper-eating ways. Most mammals avoid spicy foods—capsaicin, the chemical that gives peppers their heat, “ignites mammals’ pain pathways,” making the body think it’s actually being burned, even though it isn’t. We humans seek out these experiences, but other mammals don’t, save the noble tree shrew, a brown-gray critter under 10 inches long. Scientists have observed these little guys nibbling enthusiastically on peppers, and so a group of them set out to discover why and how they handle the heat. It partly blocks receptors in the tongue and elsewhere, by producing a different amino acid that makes it hard for capsaicin to bind to the receptor. That binding allows the receptor to signal the brain capsaicin is hot. In other words, spicy food really is less spicy to these little guys. What’s more, they actually like the heat. Chili peppers are a relatively new arrival to China—a measly 400 years—while the itty bitty tree shrews have been in residence for millennia. The hypothesis is that another native plant, Piper boehmeriaefolium, pings the same pain receptors as capsaicin, and the shrew may have coevolved alongside that plant, making them fans of spicy food. Cool, right? The PopSci piece includes a bunch of other juicy info on shrew biology and other mammals that can eat alcoholic nectar without getting wasted, so it’s a good read. Give it a click. Why do we eat raw fish and beef, but not raw chicken?